As promised, today is the beginning of a trip down memory lane. Starting with, of course, my very first birthday. And where else to start but the cake? The storebought teddy bear? C'mon Mom I know you can do better. Really I do - and you'll see soon. But I do appreciate the m&m balloons. Really I did. Just try and pry that cake out of my hand. And on Sunday...birthday number 2! Check back in - and see the horror that unfolds. Trust me. 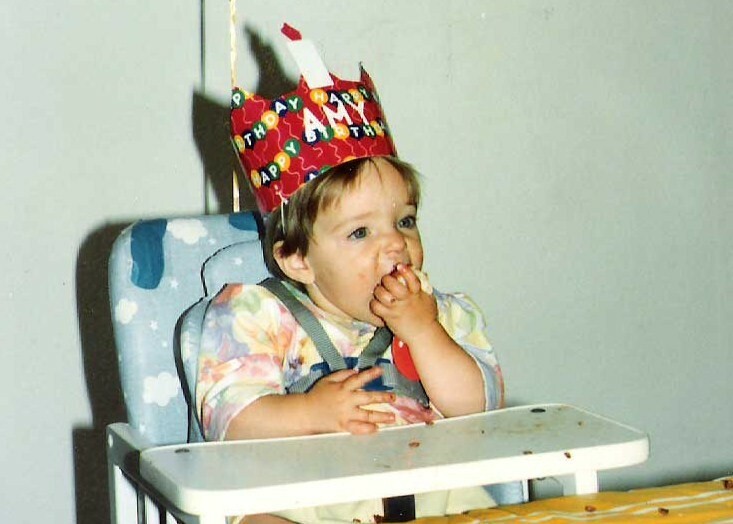 LOL I love 1st birthdays. She looks like she stayed pretty clean. SO cute! 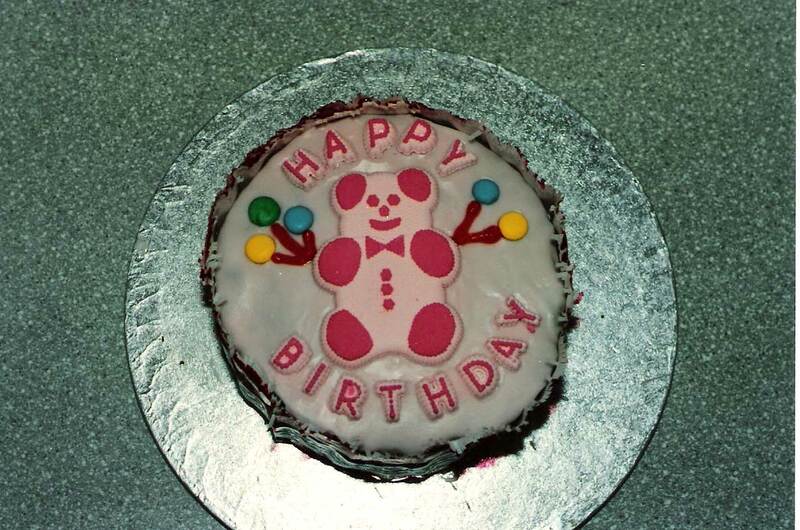 Impressed that you still have such a crisp photo of your first birthday cake.